It is your responsibility to check the results of any diagnostic procedures performed such as blood tests, urine tests or x-rays. If you wish to enquire about a result please telephone the surgery after 10am and give your details, date of investigation and nature of investigation to the receptionist. Please allow sufficient time to elapse before enquiring about results -–it is wise to check estimated report times with doctor or nurse at the time of the test. The doctors carry out private (non-NHS funded) medical examinations for insurance, employment and driving purposes etc. An up to date price list of the fees charged for these services is available in the waiting room. 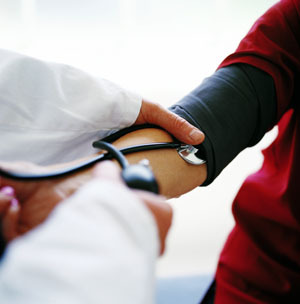 Simple health checks and tests can often identify preventable health problems. Our Health Care Assistant will check your general fitness and give advice on staying healthy. You will also be given advice on preventing heart disease/ stroke etc. We encourage all patients (male and female) to attend for regular health checks. 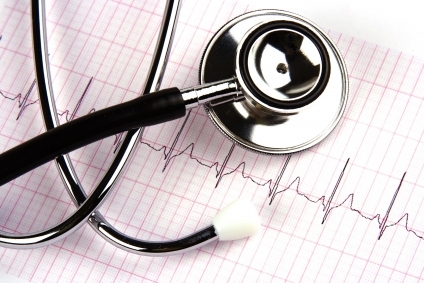 We recommend: Over 40 – a healthy heart MOT. We also recommend a 6 yearly check up for patients under 60 years of age, a 3 yearly check up between 60 and 75 years and an annual check up over 75 years if you do not have regular chronic disease management reviews. If you are over 40, we encourage you to have a “Healthy Heart MOT”, or NHS health check as it is now known. You will be given a general health check, including bloods, blood pressure, weight, and height etc. In some cases an ECG will be required. Our trained health care professionals can advise you on staying healthy and minimising your risk of having a heart attack or stroke and can refer you externally for exercise on prescription, or to our in-house smoking cessation and weight management sessions. The surgery encourages all women to attend for screening when invited. Currently women aged 25 -50 who have had negative results are invited every 3 years and ages 51 -65 are 5 yearly. If you are concerned that you are overdue your smear or have worries about the procedure or results, please discuss this with the female Practice Nurse / Nurse Practitioner. You may make an appointment with the doctor or nurse practitioner for contraceptive advice, pre-conceptual advice or emergency contraception . The doctor is happy to perform certain surgical procedures (including joint injections) by appointment – please make an appointment to discuss the matter initially – thank you.